Give the substantial number of State Plans that failed to comply with the Rule’s order, federal OSHA attempted to force covered employers in these State Plans to submit 300A data despite not being subject to the rule or federal OSHA’s jurisdiction. Specifically, on April 30, 2018, federal OSHA issued a press release announcing that employers in all State Plan States (not the State agencies themselves) must implement OSHA’s E-Recordkeeping Rule. While employers were not required to submit 300A data and faced no enforcement risk for not doing so, federal OSHA’s demand did resonate with delinquent State Plan administrators. Shortly after federal OSHA’s April 30, 2018 press release, some of the delinquent states quickly moved to adopt the E-Recordkeeping Rule, including Minnesota, South Carolina, and Utah. South Carolina, even implemented a catch-up provision because the rule was finalized so close to federal OSHA’s July 1, 2018 submission deadline – instead requiring employers submit 2017 300A data by November 25, 2018. Utah, on the other hand, passed on submission of 2017 300A data and simply required employers to comply with the upcoming March 1, 2019 deadline to submit 2018 300A data. Heading into 2019, however, there are still three State Plans that have declined to adopt the Rule – Maryland, Washington, and Wyoming. Therefore, unless one of these State Plans adopts the rule prior to the March 2, 2019 deadline to submit FY2018 300A data, covered establishments in those states are still not required to submit 300A data. California did finally adopt an E-Recordkeeping Rule of its own, tracking the federal OSHA E-Recordkeeping Rule. On September 19, 2018, California Governor Jerry Brown signed California Assembly Bill 2334 (“AB 2334”) largely in response to fed OSHA’s recent proposal to eliminate the requirement for large employers to submit 300 Log and 301 Incident Report level data. Then, approximately one month later on October 18, 2018, Cal/OSHA published an emergency proposed regulation intended to temporarily adopt and implement the federal OSHA E-Recordkeeping Rule’s data submission requirements. The Cal/OSHA emergency regulations were approved by the California Office of Administrative Law and officially went into effect on November 1, 2018. The regulations amend Title 8 of the California Code of Regulations sections 14300.35 and 14300.41. However, since the California regulations were approved as emergency regulations, Cal/OSHA will now proceed with the formal rulemaking process. Who must submit injury data? When Must Covered Establishments Submit 300A Data? The first deadline under Cal/OSHA’s emergency regulation is approaching soon, and covered establishments should take immediate steps to ensure they comply with the rule’s requirements. Similar to South Carolina, California imposed a “catch-up” provision to collect FY2017 300A data even though the rule was adopted after federal OSHA’s deadline for 2017 data. Specifically, covered establishments in California must submit FY2017 300A data by December 31, 2018. Covered establishments also have a short turnaround time to submit FY2018 300A by March 2, 2019. 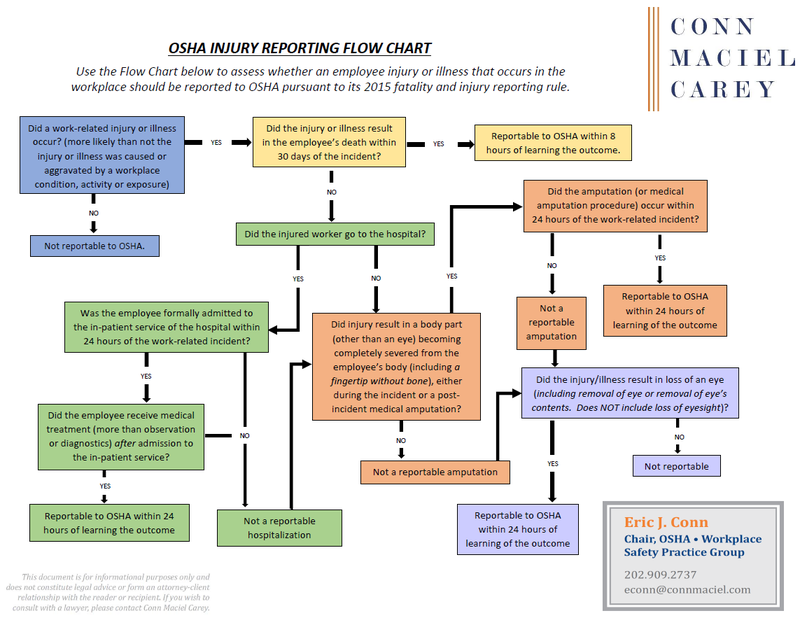 Covered establishments should follow the instructions set forth on federal OSHA’s Injury Tracking Application website to set up an account and account. Covered establishments should promptly review their 2017 300A data to ensure that it is accurate and ensure that a designated company representative is familiar with the ITA portal and prepared to submit the data by the initial December 31st deadline. Employers should also stay tuned for further rulemaking to determine if Cal/OSHA amends the current rule in the near future. AB 2334 requires Cal/OSHA to “monitor” rulemaking at the federal level and, if Cal/OSHA determines that fed OSHA has “eliminated or substantially diminished” the electronic recordkeeping rule, the California agency is required to convene an advisory committee within 120 days to “evaluate how to implement the changes necessary to protect the goals” of the proposed federal rule as issued in May 2016 under the Obama Administration. Thus, Cal/OSHA did not rule out the possibility of imposing its own requirements – perhaps more stringent than those required by federal OSHA. This is a major shift back to the Obama Administration’s midnight “Volks Rule,” where fed OSHA adopted a five-year statute of limitations for recordkeeping violations during the final days of the Obama Administration. The federal rule was repealed quickly by the Trump Administration when the Republican Congress and new President Trump signed a resolution to revoke the rule under the Congressional Review Act.